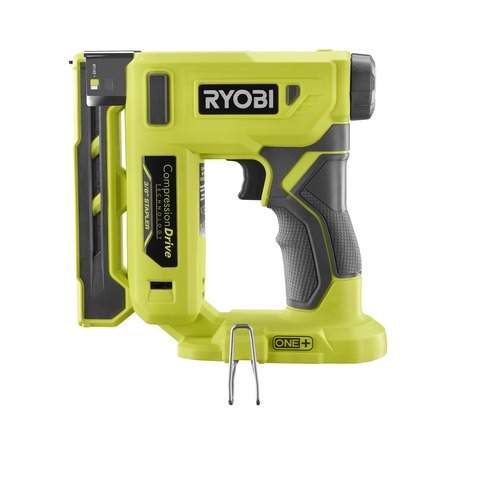 I’ve always liked Ryobi’s cordless nailers because not only did they have a nice lineup at launch, they worked very well without any gimmicks. 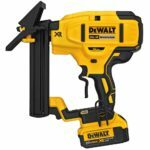 It’s also nice to see that they keep adding to the lineup with more nailers and now with a new Ryobi P317 18V 3/8 INCH Crown Stapler . 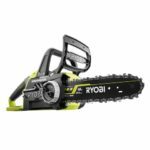 The Ryobi P317 18V 3/8 INCH Crown Stapler takes regular Arrow T50 staples making it great for things like stapling down insulation and roofing paper or even craft projects for those of you that are DIY’ers. Being battery powered means you wont get the hand fatigue of using manual staplers and it also means you don’t have to be tethered to an extension cord like on pneumatic or electric staplers. Features include a drive depth knob on the back of the tool which can be rotated to choose staple depth and has a nifty indicator on top that gives you an idea of drive depth setting. 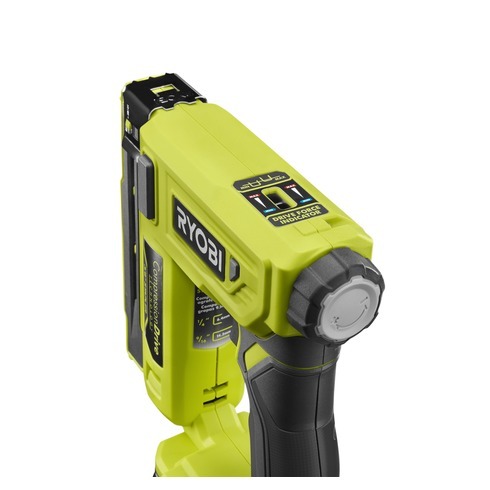 Ryobi calls it a drive force indicator. 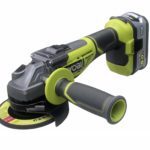 The handle is slimmed down at the top like some of their newer brushless tools, although this stapler is not brushless. A belt clip is included and can be placed on either side. A dual screen/wire attachment is included allows installation that guides staples without penetrating wire or screen. Runtime appears to be extremely good at up to 5,500 staples per charge with a 4.0ah battery. Available now and sold as a baretool for $79. A big thanks to DrewBHAM for spotting and sharing with us! Type of Staples: 3/8 in. Staple Length: 1/4 in. – 9/16 in. 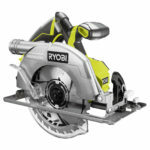 The price for the new P317 Stapler will be $79.00 per the Ryobi website. Price included in the post, thanks Drew! Looks good. I hope we get this in Australia. I have the old P300 which shoots 18gbrads as well a T50 staples. Its ok but a bit underpowered, leaving about half of any thing fired not being flush meaning the tedious task of knocking them the rest of the way in with a punch.